Nfinity Cheer Shoes, Cheer Apparel, Cheer Shorts, Sports Bras and Jackets. **Free shipping on orders $49 and up. 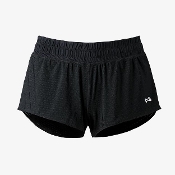 Balera Longer-Length Dance & Cheer Shorts. Longer-length short with wider 1 1/2" waistband. Imported. Available in several colors. Balera Metallic Booty Dance & Cheer Shorts. Premium Metallic nylon/spandex booty shorts for dance, cheer or gymnastics. Child and adult sizes have a 1 1/2" inch inseam. Available in a range of vibrant colors. Balera Mid-Length Dance & Cheer Shorts. Mid-length shorts with a comfortable 1" elastic waist. Made in USA. Available in a range of vibrant colors. Mondor 11608 3.5" Inseam Dance/Cheer Shorts. Ladies matte cotton/lycra hot short. Available in black only. 3 1/2" inseam. Mondor 11609 1.5" Inseam Dance/Cheer Shorts. Ladies matte cotton/lycra hot short. Available in black only. 1.5 inch inseam. Mondor 11649 5" Inseam Dance/Cheer Shorts. Ladies matte cotton/lycra hot short. Available in black only. 5" inseam. The Mondor 3519 Racerback Sports Bra Top has a fully lined front and has a very supportive elastic band. Excellent sports bra for any sport, cheer, dance, gymnastics or skating. Available in Child and Adult Sizes in several colors. Nfinity 2-IN-1 Shorts. With boyshorts underneath, our 2-in-1 Short delivers comfort and coverage. A sweat-wicking base layer and mesh top layer combine into one comfortable, breathable, super cute package. 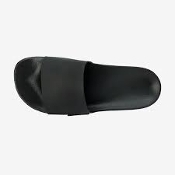 Nfinity Black Matte Slide Shoe. After practice or running errands you’ll want to slip into these simple and comfortable slides. Increase the life of your Nfinity shoes, AND look cool doing it.. Ensure a secure fit for your shoes with Nfinity bubble shoe laces. The grooves "lock" together to help prevent loosening and unraveling knots. Make sure your shoes stay where they belong...on your feet...with Nfinity Bubble Laces. Available in multiple colors. Nfinity Vengeance Cheer Shoe. These shoes definitely won’t weigh you down. At only 3.9 oz, the Nfinity Vengeance is our lightest cheer shoe. For Competitive Cheer to be worn on matted surfaces. The Nfinity Flex Bra has got you covered with a compression fit that offers support, making it perfect for any activity and motion. Available in multiple colors to show your team spirit. 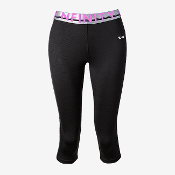 Nfinity Flex Capri pants offer medium support and enhanced comfort for everyday training. Available in multiple colors to show your team spirit. Pair with Nfinity Flex bra or Nfinity Flex Tank to complete the look. The Nfinity Flex Jacket is a lightweight jacket designed to keep you comfortable through practice and is backed by our moisture wicking fabric to keep you dry during any activity. Available in several colors to show your team spirit. Pair with Nfinity Flex Shorts to complete the look. Nfinity Flex Shorts offer medium support and enhanced comfort for everyday training. Available in multiple colors to show your team spirit. Pair with Nfinity Flex bra or Nfinity Flex Tank to complete the look. You're on the rise with the Nfinity FLYTE. At only 3.8oz, this shoe is specifically designed for comfort, fit, and the ultimate in stunt performance. 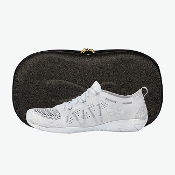 The Nfinity Flyte is for competitive cheerleaders to be worn on spring floors or matted surfaces. You'll love the feel of our Athletic Cap, which features 5-panel construction to improve fit and provide moisture management. Made of 100% polyester taffeta for lightweight comfort, this cap has a 1-hand, quick-adjust closure. Available with logo embroidered in several team colors. 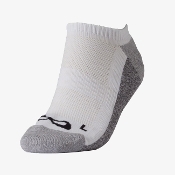 The Nfinity Performance No See Socks feature a snug, compression fit at the arch. Low Cut Socks offer a supportive fit that's ultra-comfortable. Nfinity Practice Cheer Shorts are made with water wicking material & breathable jersey knit side panels to keep you cool when you're working hard. Nfinity Rival Cheer Shoe. 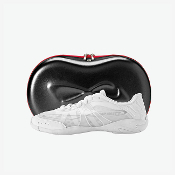 This featherweight sideline cheer shoe offers a high spring eva, and easy stunt grip outsole and comfort that will last throughout cheer practice. Great sideline cheer shoe. 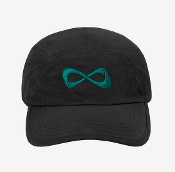 Nfinity Logo Slide Shoe. 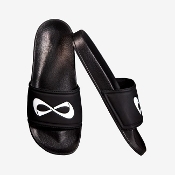 These slides have an authentic sporty look with a contoured footbed and white Nfinity logo across the bandage upper. Get down to lounge all summer long in these comfy striped sandals from Nfinity. The original Nfinity spandex short. Comfortable, colorful, perfect for every practice. Available in several colors. Pair with Nfinity Sports Bra to complete the look. The Nfinity Sports Bra. The super soft, and highly requested, sports bra features a flattering and lightweight design with a criss cross back for the toughest movements. Nfinity Titan Cheer Shoe. Unleash your Titan with Nfinity’s first ever high top for cheer. These old-school meets modern style high top features an interlocking exoskeleton for added ankle stability that is perfect for tumbling. Available in White or Black. The Nfinity Flex Bra has got you covered with a compression fit that offers support, making it perfect for any activity and motion. Available in multiple colors to show your team spirit. Nfinity Youth Flex Capri pants offer medium support and enhanced comfort for everyday training. Available in multiple colors to show your team spirit. Pair with Nfinity Flex bra or Nfinity Flex Tank to complete the look. The Nfinity Youth Flex Jacket is a lightweight jacket designed to keep you comfortable through practice and is backed by our moisture wicking fabric to keep you dry during any activity. Available in several colors to show your team spirit. Pair with Nfinity Flex Shorts to complete the look. Nfinity Youth Flex Shorts offer medium support and enhanced comfort for everyday training. Available in multiple colors to show your team spirit. Pair with Nfinity Flex bra or Nfinity Flex Tank to complete the look. The Nfinity Youth Flex Tank w/ Bra offers medium support and combines soft, sweat-wicking fabric. A built-in sports bra offers support and comfort during training. Available in multiple colors to show your team spirit. 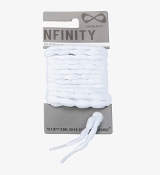 Nfinity Straight Shoe Laces. 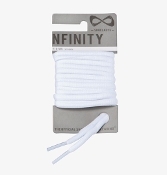 Represent your team and add some brightness to your day with Nfinity colored straight shoe laces. These options are the perfect way to add color without overdoing it. Refresh your Nfinities and look like you had them made especially for you. 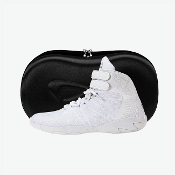 Nfinity Evolution Cheer Shoe. Harness the energized comfort of the Nfinity Evolution to meet your competition goals. The Nfinity Evolution is for competitive cheerleaders but is also durable enough for sideline cheer. Cheerleading is a very competitive sport. Cheerleaders need quality clothing that will hold up at practice each week. Cheerleaders can practice from a few days a week to several hours each day. They will wear cheer shorts, cheer bras, tank tops and capri's to practice. Some cheerleaders like their cheer shorts to be tight and short like hot shorts, or spandex shorts. Some cheerleaders like a more loose fit like athletic shorts. Nfinity is one of the major brands in the cheerleading market. Go to any competitions and you will see Nfinity jackets in team colors. It is common for teams to order matching Nfinity jackets, Nfinity shorts, Nfinity bra tops and Nfinity tank tops in team colors. Cheerleaders will wear those Nfinity shorts to cheer practice. Nfinity no show socks are also a much needed accessory. No show socks are worn by most cheerleaders with their Nfinity shoes or cheer shoes of their choice.